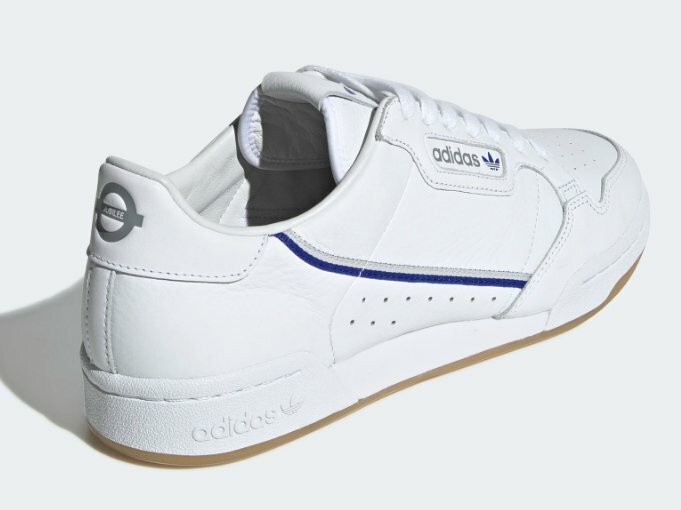 You’ve read about these Adidas tube trainers right? Here’s a quick look at the different varieties and the lines they cover, plus special editions and possible quirks. They’re naturally expensive with prices starting at £80 or more upwards, and approaching £150 or more for the special editions. Prices are going well over a thousand on Ebay for the ultimate collectors’ editions! 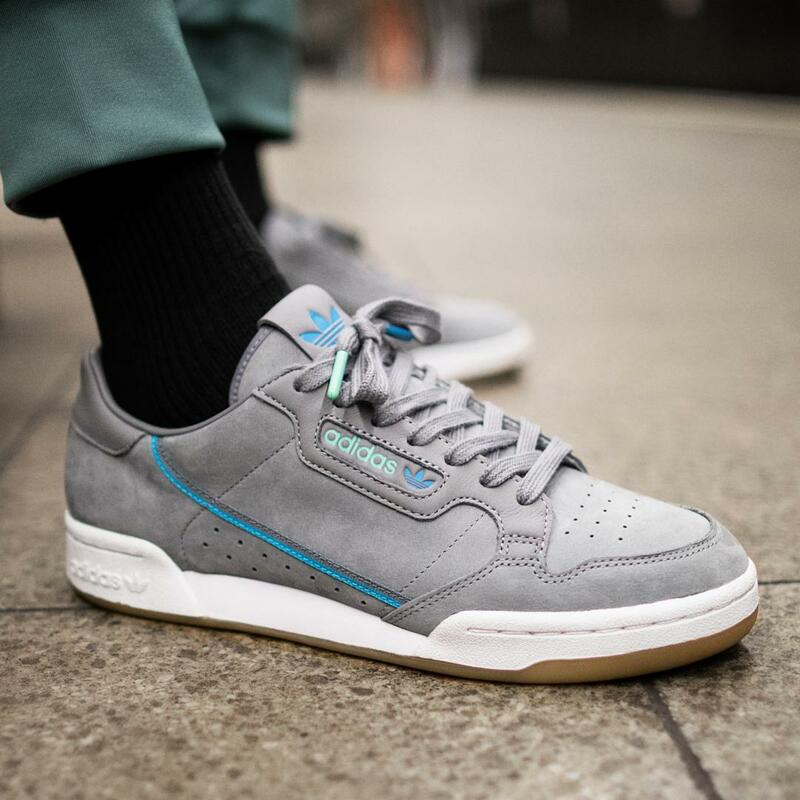 Early releases of these shoes in October 2018 came with a free Oyster card worth £80. There were huge queues as people scrambled to get hold of these! 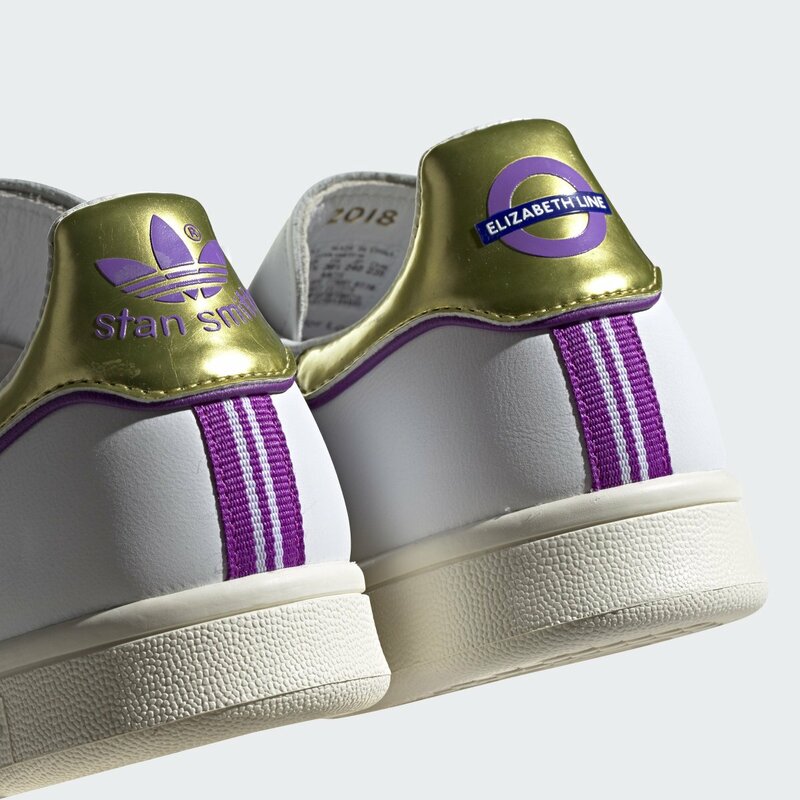 The special shoes were originally conceived as part of a publicity drive for the Elizabeth Line and presumably were expanded to include the other tube lines when it was found the Crossrail-built line would not be opening in 2018. 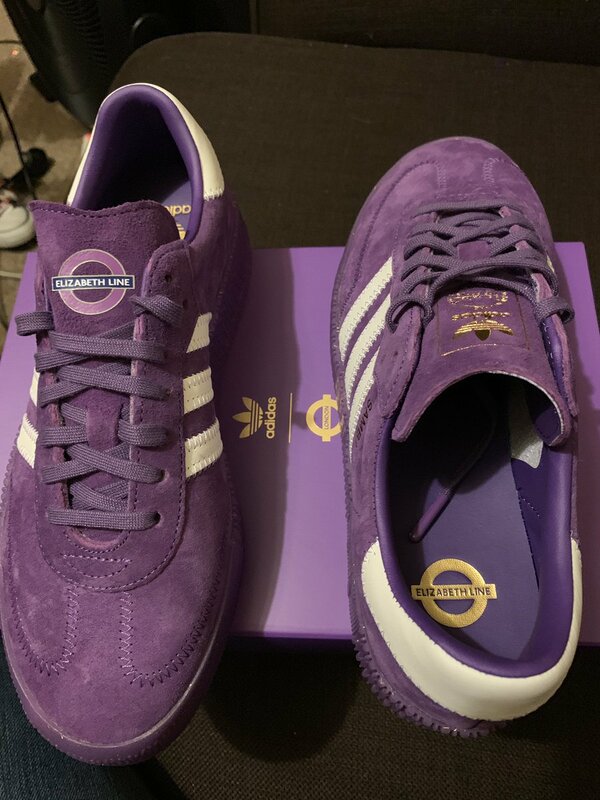 When it comes to the Elizabeth Line one can see these were produced in a special style and the styling does indicate the new line was going to be the only one that featured these shoes. 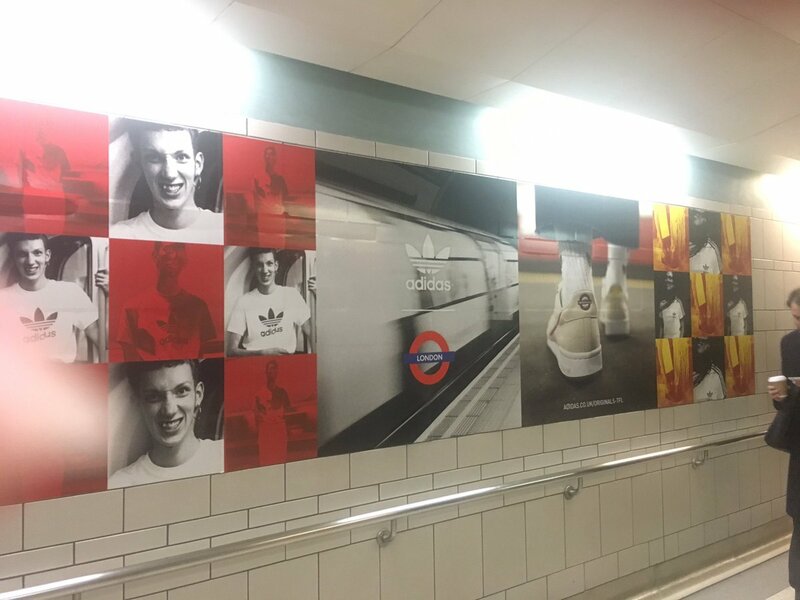 TfL originally wanted six companies to do a collaboration in conjunction with the opening of the new line and Adidas certainly was one of those collaborations. 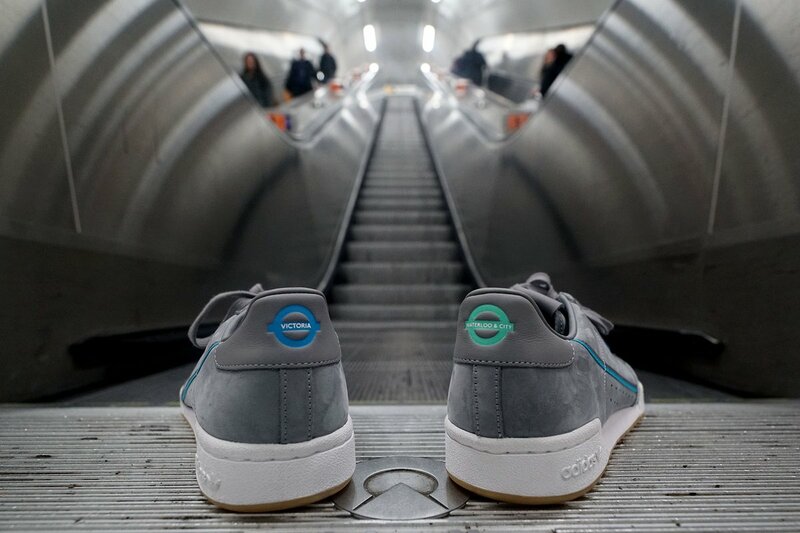 If one looks at the other tube styled trainers (besides the Elizabeth Line) thee styling is more basic and this is even when the Elizabeth Line gets paired with the District. This suggests a less complicated manufacture process and cheaper manufacture presses for the later products. A much better pairing would have been to use the Hammersmith & City because after all that was the first part of the Metropolitan. The Hammersmith had no separate colour prior to 1990. 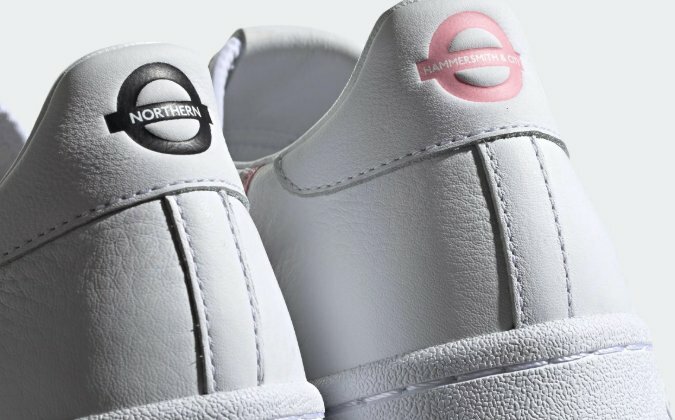 The stations between Edgware Road and Aldgate despite having three different lines – Circle, Hammersmith and Metropolitan, had just the just two colours – those in the shoes above. It seems to me TfL are in fact using the original pre 1990s branding here. 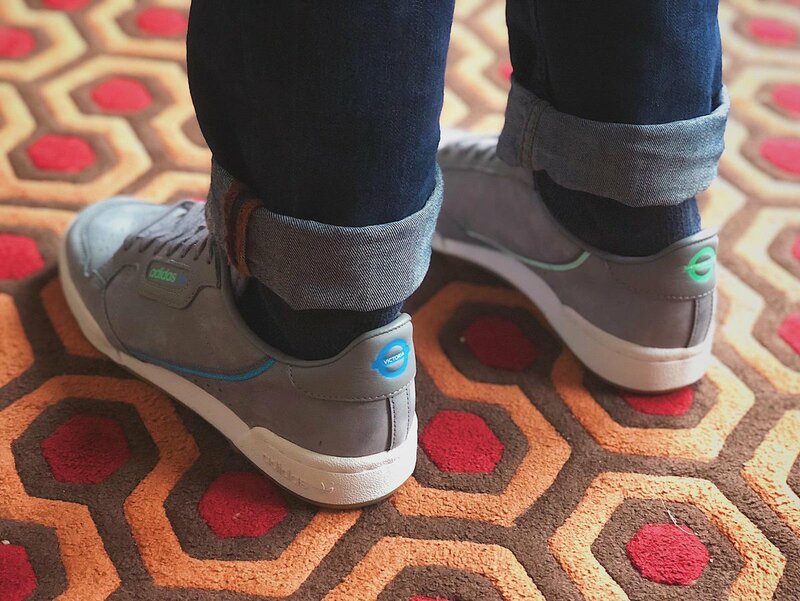 These special Metropolitan trainers are of interest. 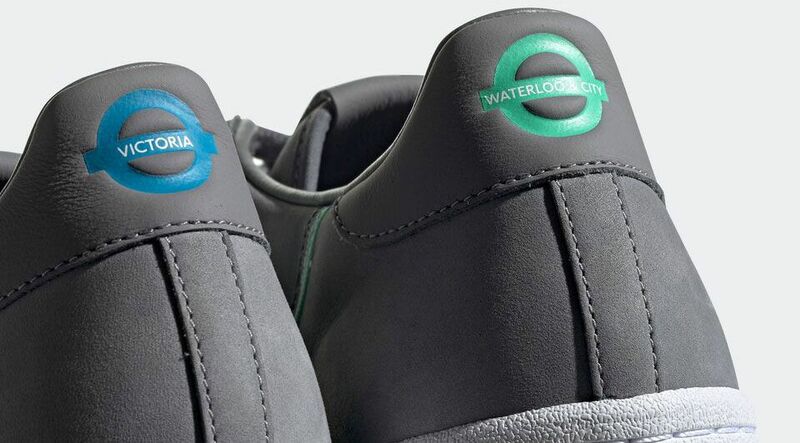 Its clear those shoes’ roundels were made using the presses for the Elizabeth Line ones. 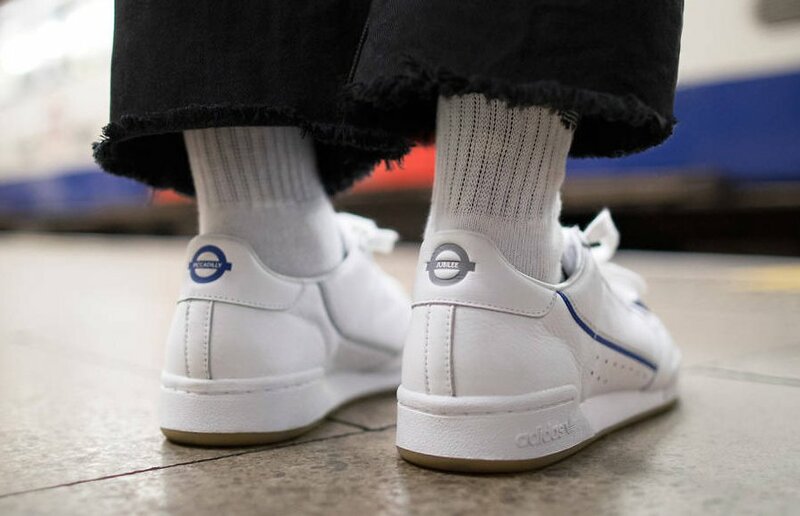 It likely shows Adidas and TfL were looking to expand the range in special ways in order to make it look like the entire collection hadn’t been drummed up at the last minute in light of the Crossrail debacle. 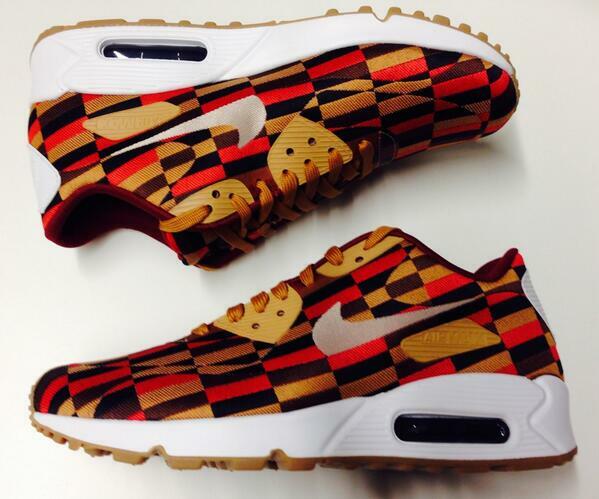 This is not the first time TfL has had a collaboration in terms of tube themed trainers. 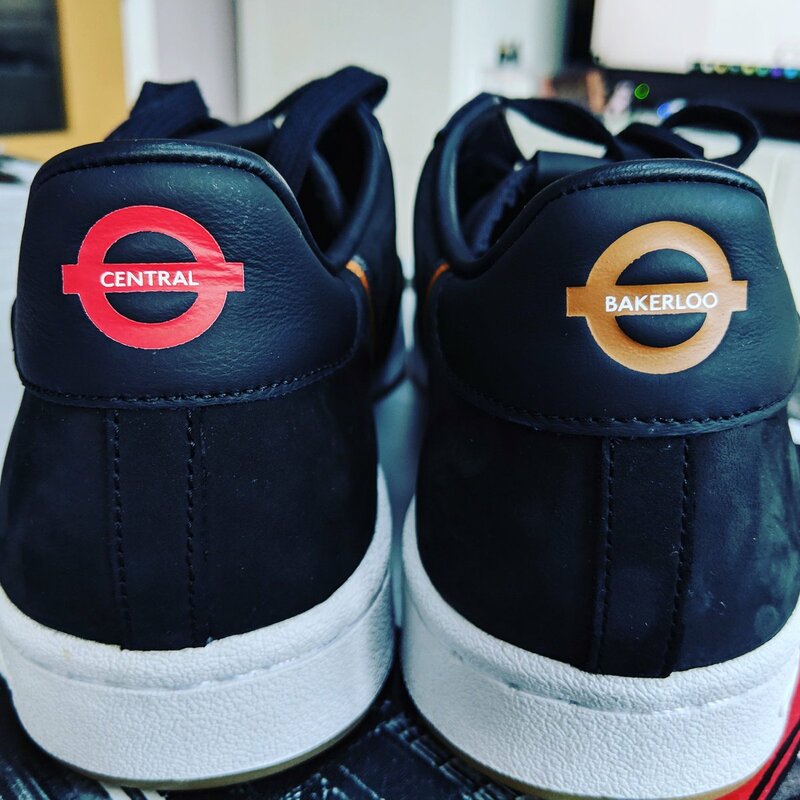 In 2013 special District Line D78 stock trainers were issued by Nike.